SFTraxx.com - Online Music Distribution: DistroKid FTW? Online Music Distribution: DistroKid FTW? Wanna sell your music online? You're gonna need an online music distributor.. While there are quite a few DIY platforms like Soundcloud, Audiomack and Bandcamp - if you want to get your music into the Major retailers like iTunes, Pandora, Spotify, Amazon etc you've gotta pay an online digital music distributor. Well, they all have their pro's and con's (Just in case you missed it: be sure to read Ari's take to see a sweet breakdown and comparison chart) but after extensive review I went with DistroKid. 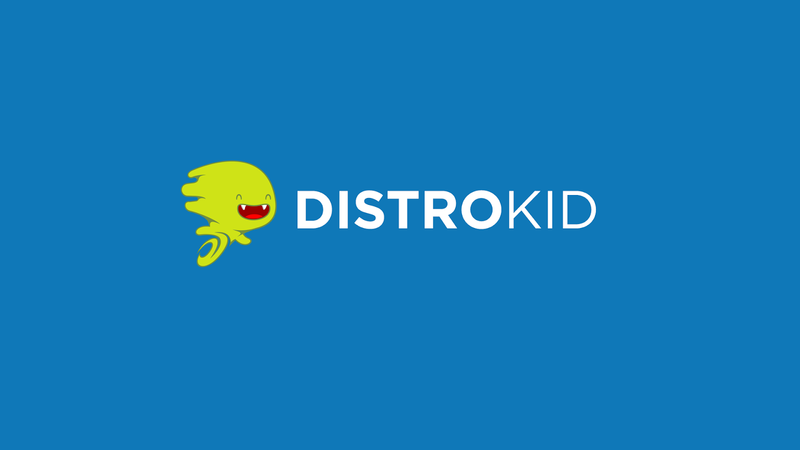 Unlike other Online Music Distributors, DistroKid charges a low flat fee for unlimited album submissions. Their platform is easy to use, and they notify you once your music is in the stores. Additionally they also include ISRC codes (at no additional costs) so that is a plus. Since these options mattered the most to me it was a no brainer. In addition to the features I have mentioned above DistroKid has now rolled out a feature that blows the others "out of the water". 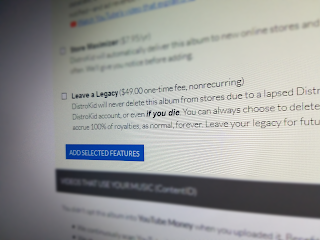 Their "Leave a legacy" option. DistroKid now has an option to pay a "one time fee" (at the time of this writing its $29 for a Single and $49 for an Album) to have your music remain in the online music retailer's stores' forever. 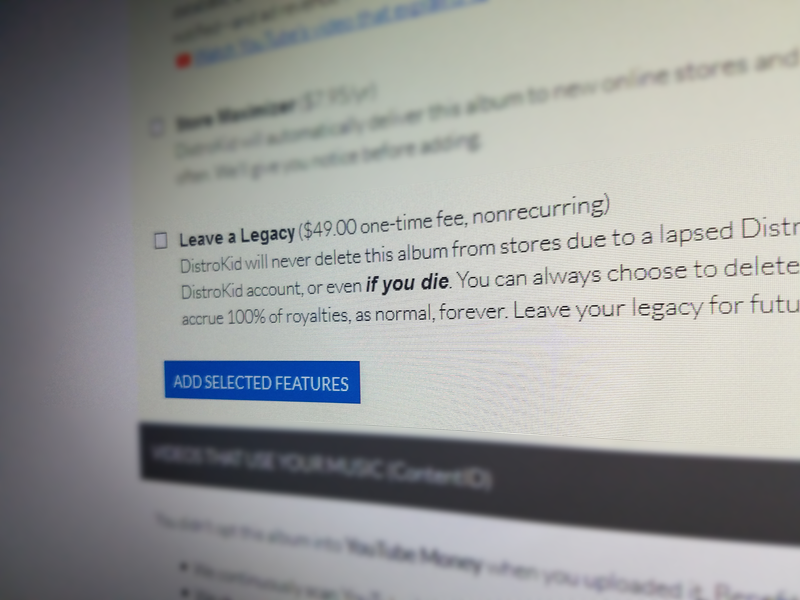 DistroKid even states that "Even if you die" you can still collect 100% royalties (or your future generations can collect ) from your published music as it will not be removed forever. On a side note: I recently had a close Artist friend tell me his associate passed away and the money from his music is gone. It sounds like with this option now "a thing" - that unfortunate scenario may be a thing of the past..
Click here to check out DistroKid.